I bought one of the expensive, best and well known branded Smartphone a year ago (I don’t like to mention the name); the performance was an outstanding and no doubt about it. I used to enjoy that Smartphone which gave me enough benefit out of it for my personal and official works in one go. The days were gone and I was carrying it like an intelligent and prestigious one. Near about a year usage of it, unfortunately it felt down from my pocket to just carpeted floor while I was sitting on the office chair, it could be of maximum 2 to 3 feet distance. That’s it, my dream broken like anything else on that day due to no display of the phone. The Smartphone cost was around the same price of branded Laptop. Hmmm, what else I can do at that moment except some self-experiment on technical issue to find out what was wrong after it’s felt down. I was able to just receive calls only and no display at all, I can't even make a calls. It shall have either display damaged or mother board issue or lightning issue. This has to be analyzed and tell me by its customer service or local technician only. The customer service in reply said that it may cost around Rs 4000 to Rs 5000 in case if it just mother board issue or display issue, it can’t be solved if other issues than stated. Now, it seems like ‘I have to pay’ definitely for nothing more than it's just felt down, or possible drop down test failure from company. I asked customer service representative to reduce its repairing and servicing charges, they said it can’t be done but they need to first check it and let me know the status soon. I waited for around 1 hour and they replied that it is not guaranteed that it will get display back even if they put new display set. Possible for other issue too. I lost warranty period too and forgot about its insurance. Oh God, now the situation is like it is just a dummy set or broken gadget or useless scrapped toy on my hand. The next step to reach any expert or local mobile technician to re-check it once again for the status. Yes, the local technician too explained that the set may face the same issue even if they fix with branded display. Hard to find same model dummy motherboard set to replace it or hard to get its lighting in case if it is really a lighting issue. No solution yet but I have to either sell it in least price in whatever dealer says or try to throw it away or try to fix the problem at any cost. Yes, challenge begun more, I gave it to one of the technician who said this is not the display issue but lightning issue only since display screen area is not broken or tampered and possible for internal damage only. He said another thing is that, other may not do it or may charge you more for this issue but I will charge just Rs 2000 to create specially and make lightning IC work and fix it. This lightning IC will not be available even in its showroom or across India but needed to specially create/ make it as alternate one or take from same model set. Yes, I got little breath and fully believed on him to repair the device. He took more than 2 days and created special lighting IC for it and fixed it to get back its charming once again. Thank God, we have done the job. It is working fine now. This is one of the dangerous issue (lighting) since it is not available in the showroom or technician or anywhere to fix it. Thus, I hereby make a resolution this New year to change the device which has no issue of lighting and passed drop down test etc. I also try to check Micromax Canvas Tab P666 which can help me achieve that, and my job. 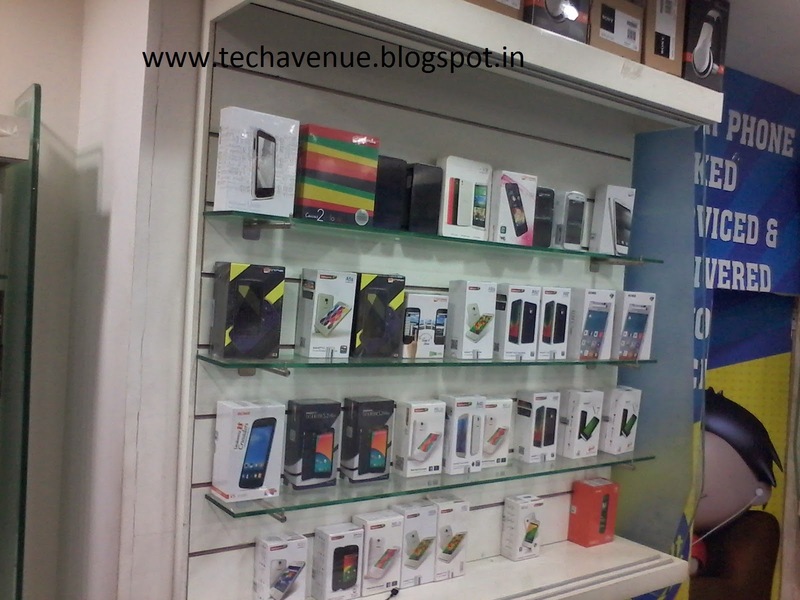 This article is written for the Happy Hour contest of Micromax Canvas Tab P666 in association with IndiBlogger. Maps have perhaps become an essential part of our everyday life. From understanding a new city, getting to a meeting quickly, planning a vacation to getting recommendations for local businesses, Google Maps can help. How to use Google maps effectively? ● Voice guided turn-by-turn navigation: Let Google Maps for mobile help you get there more easily by getting voice-guided assistance. Simply search for your destination, and then tap on the blue car icon that appears to the right of the place’s name. Once you enter the Directions menu, select which route option you prefer and tap on the blue “Start navigation” option to get voice-guided turn-by-turn directions to where you need to go. Users also have the option to change the endpoint or start point and then start the navigation. ○ Hindi navigation support has been added for turn-by-turn voice navigation in Hindi. ○ To use the feature and hear voice-guided instructions in Hindi, you will need to select Hindi as the default language from Settings -> Language and Input. ○ You can also search for a city such as “Gurgaon” and scroll down and use “save maps to use it offline”. ● Explore local businesses: If you want to find recommendations for hotels, restaurants, and things to do, just touch inside the search box and then explore. You can browse by choosing a category like – drink, eat, play etc. and maps will throw all suggestions basis the search. Once you select the place, just swipe upwards to see the full details. The search results will also mention the distance of these restaurants / hotels from your current location. ● Quick search for the type of place or business: If you are looking for a place for a place/local business, just type in the word in maps – for example: ‘Pizza’ and at the bottom of the maps, swipe left and right to see more places. Once you have found the place, swipe the info sheet up to find more information about the place. ● Save your favorite places: Save home and work addresses to get directions faster when you’re on the go! For saving home or work locations go to Google maps settings and then touch on “Edit home or work”. The next time you use maps, you can directly type “home” or “work” and maps will automatically pick up the address. ○ Select the bus icon on the top of directions To and From places. ○ If you wish to explore the transit lines available in the city you can just click on the "Public Transit" on the left panel of your GMM. ● click on "Options" below the To and From places and select your preferences. ● By default, all transit lines are shown for a particular area. Zoom in to see the stops for a certain line. select the Public transit layer and then click on any particular station and swipe up to see the buses / metro available from that station. ● Clicking on a stop or station (indicated by a blue square) will also bring up the station page. This page provides information on which lines stop at that station and when the next transportation will arrive. You can also get directions to that station, see or view nearby stations. ● Google Maps not only lets you gets driving directions, you can also get walking or public transit directions. ● To get walking directions, enter your to and from destinations as usual. On of on top of “to and fro places” Google Maps, you will see the three options highlighted “Driving, Transit and Walking” in that order. This is where you can indicate that you're walking. ● Not all locations have all options, but the three choices for transportation in Google Maps are by car (the default), by public transit, or by walking. If you select public transit, Google gives you walking directions to and from the bus or train stops required to get to your destination. ● Search for a business, like a home delivery Dominos Pizza on Google Maps, and click the 'call' link next to its phone number. From a phone, it will directly connect you the pizza store. ● Open the Google Maps app on your phone or tablet. ● Search for a place. Or find a place on the map then touch and hold to drop a pin. ● From the bottom, touch the place’s description to see more details. ● To add reviews, you need to have a Google+ profile and be signed in. Because your reviews are publicly shared on Google products, others may use them as recommendations. ○ Touch or search for a place. ○ Under “Rate and review”, touch the stars to score a place and write a review. Are you looking for the most awaited and latest Smartphone which is about to release and register online to buy it? If so, you can buy Xiaomi Redmi Note from Flipkart starting now itself, try to register immediately. It is about to release soon, it could be around 50,000 sets in India for 3G and 4G sets. Hurry up and grab your piece online to avoid out of stock. 3100 mAh Lithium-Ion Polymer battery. 1 WCDMA slot for 3G data and 1 GSM slot for 2G data. Bigger screen. Longer battery life. Stunning 5.5” HD IPS display. Adv. Games, ebooks, and videos, are vibrant, clear, and bigger than ever. Note: Xiaomi Redmi Note has two different set, one is 3G feature which cost Rs 8,999 and the other one is 4G feature which cost Rs 9,999. You can associate it with Airtel to get a good offer. In case if you are not able to buy online, you may then immediately approach to any nearest Airtel outlet to buy it. With reference to Univercell Sync contest announcement and invitation from IndiBlogger; I planned to visit UniverCell Sync showroom at CMH Road, Indira Nagar, and Bangalore on said dated after I received a reply from IndiBlogger team. I ensured that the time is fixed for this event and not to go for any other works. I reached the showroom on 24th Aug 2014 (Sunday) afternoon and introduced myself with UniverCell Sync staff where they warm welcomed us as blogger, that too from IndiBlogger. 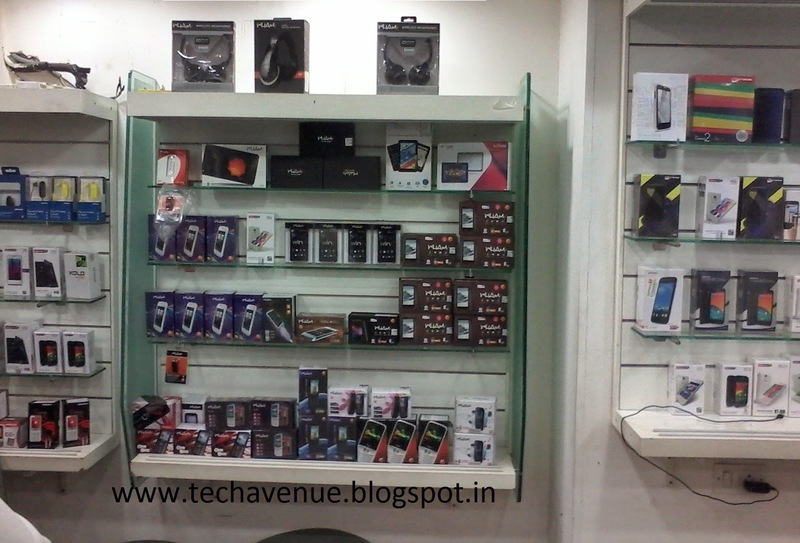 UniverCell Sync showroom, CMH Road, Indira Nagar, Bangalore.